Whenever I write about the emotions of animals, reader responses pour in. For anyone who loves a cat or dog (or bird or turtle or rabbit), it’s welcome but not surprising to hear science confirm what we already know: Animals think and feel. A longtime hunter is preparing to head home for the day when he spots a beautiful buck and doe, grazing side by side, off in the distance. He monitors their graceful synchronicity for a moment or two, and then positions his gun, aims for the male, and fires. The buck collapses almost instantaneously. 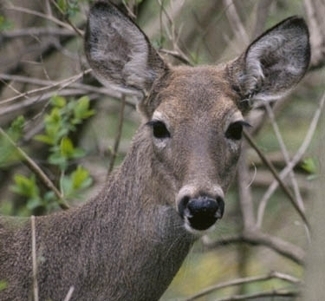 Deer are skittish, fearful animals. A gunshot blast sends them fleeing in any direction; their instincts say run — fast. But to the hunter’s amazement, the female deer didn’t run. Her ears twitched and she cocked her head, but otherwise she stood motionless. The hunter had never heard of a deer who was too scared to move. He approached, waving his gun, so that there could be no question in the deer’s mind which direction led away from danger. “Hey!” he shouted. But the animal remained still. Now the hunter was so close he could reach out and touch the doe if he wanted to. And that’s when he realized: this deer was blind. The buck acted as her sense of sight. When he moved, she did too. But without her companion’s guidance, she was rendered immobile. The hunter looked down at the dying buck, and then into the eyes of the deer who saw nothing. It’s the first time he let himself realize that these beings have feelings, that such a “sport” wreaked devastating consequences. He put away his hunting rifle for good. I kid my non-vegan friends about how hard it is to be me. I tease them that I dream of bacon and gouda and omelets and leather boots. But the truth is, it’s so much easier to look into my own dogs’ eyes this way. Whether it’s the brutal treatment of dairy cows or pigs for slaughter or Pit Bulls made to fight, we owe it to our fellow earthlings to consider their suffering.